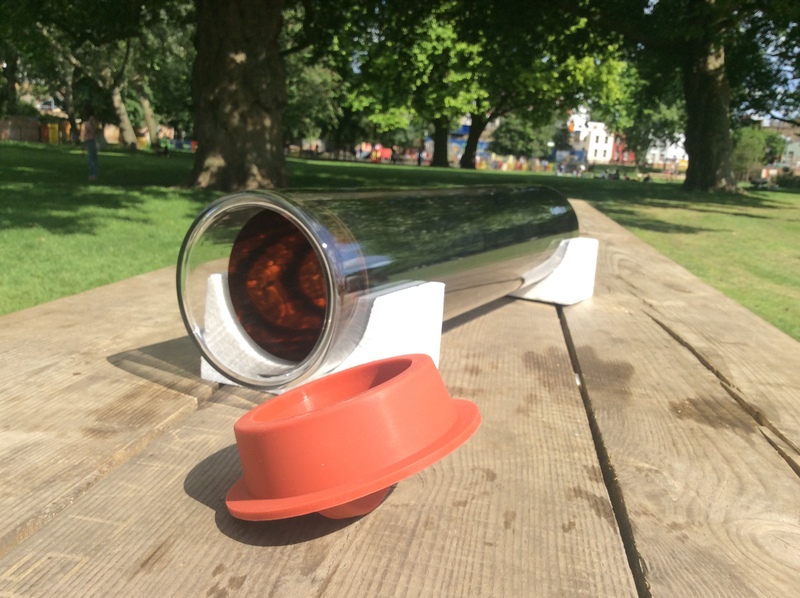 Bake bread, steam, boil, grill with the Rand solar oven. 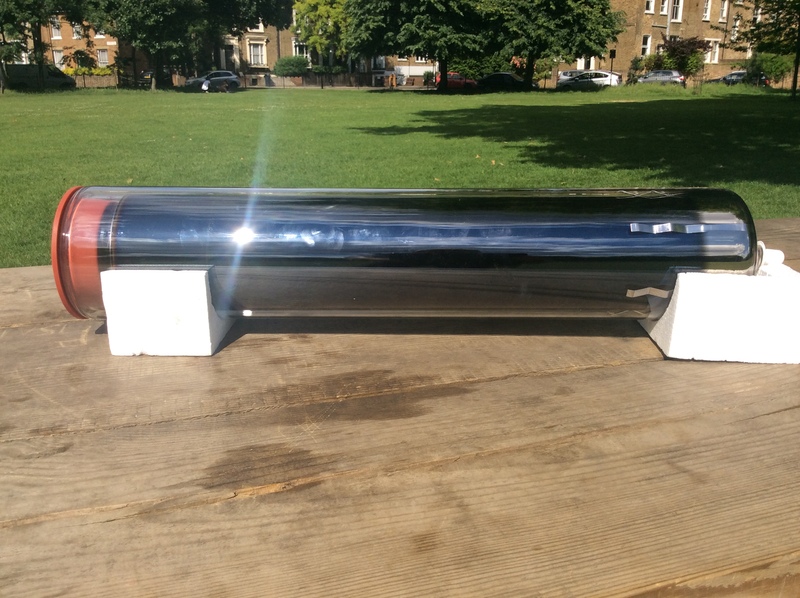 This large vacuum tube will handle any of your cooking tasks using direct sunlight only. Features of the oven are the strong heat resisting (often called pyrex) glass formed into a double walled tube. Within the double wall is a vacuum to provide the best insulation possible, with the heat saving properties of a thermos type flask. 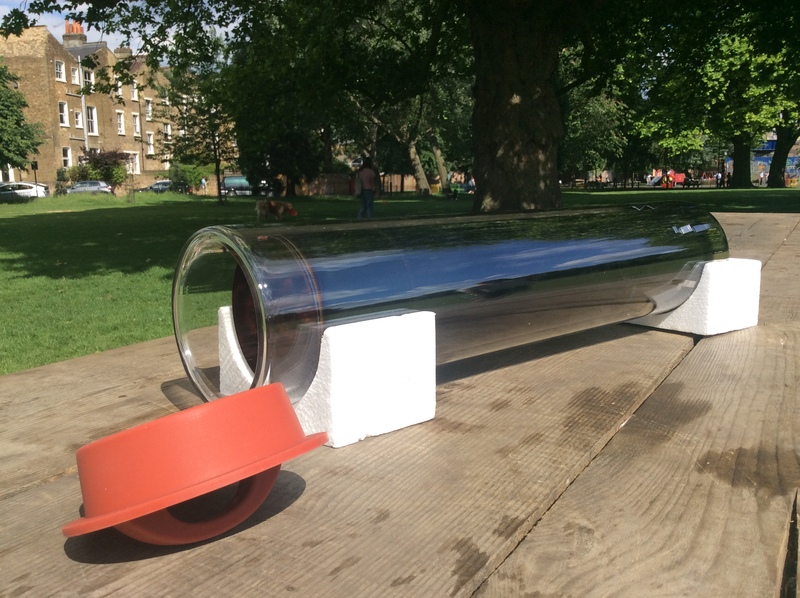 The inner wall of the glass tube has a sunlight absorbing layer (on the outer face) to pick up the sun. This looks ‘blue’ in the picture but is better than black at absorbing sunlight. 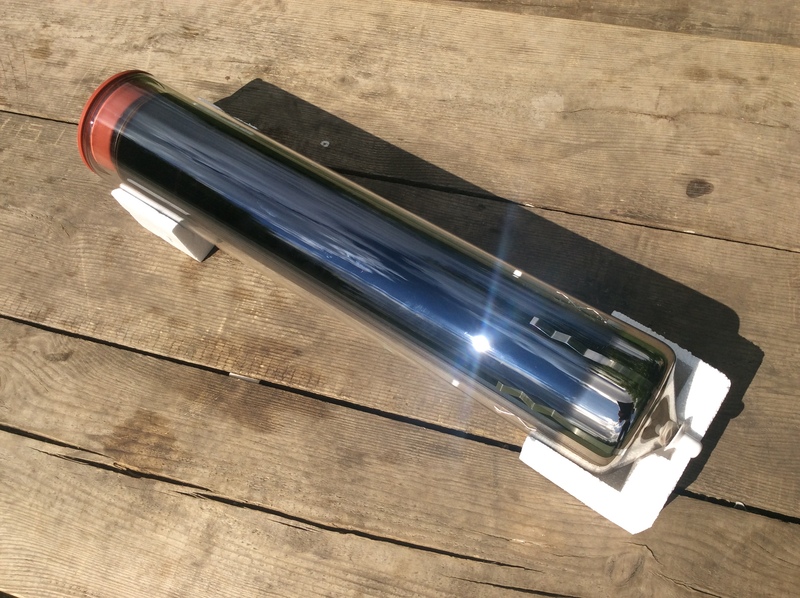 When placed securely in the sunlight the inner glass layer will start to heat and transfer heat to the air or directly (if in contact) with anything contained in the vacuum tube. 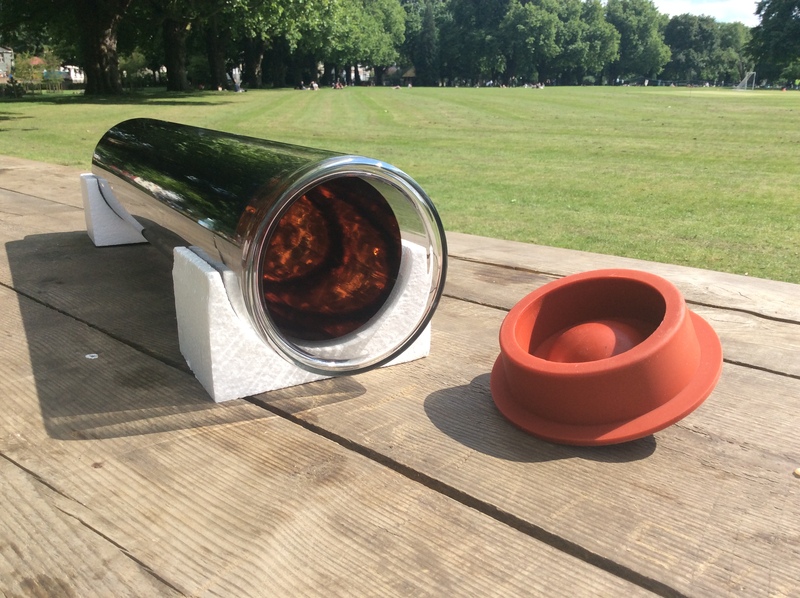 The tube comes with a high temperature silicon bung fitting loosely in the entrance of the tube to prevent heat loss. 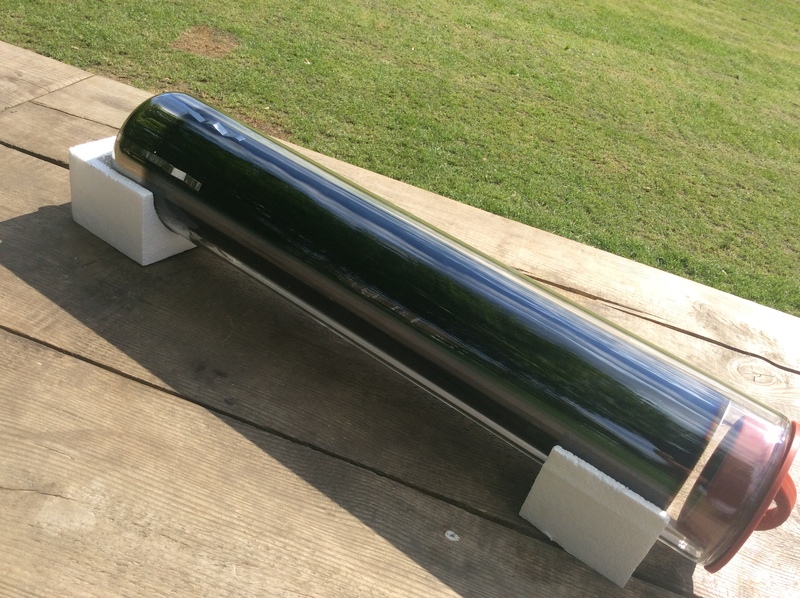 We have used the Rand tube in the UK for many years with amazing results. Food has been grilled, fried and baked throughout the winter season too, on sunny days. Vacuum tubes work exceptionally well in our environment. 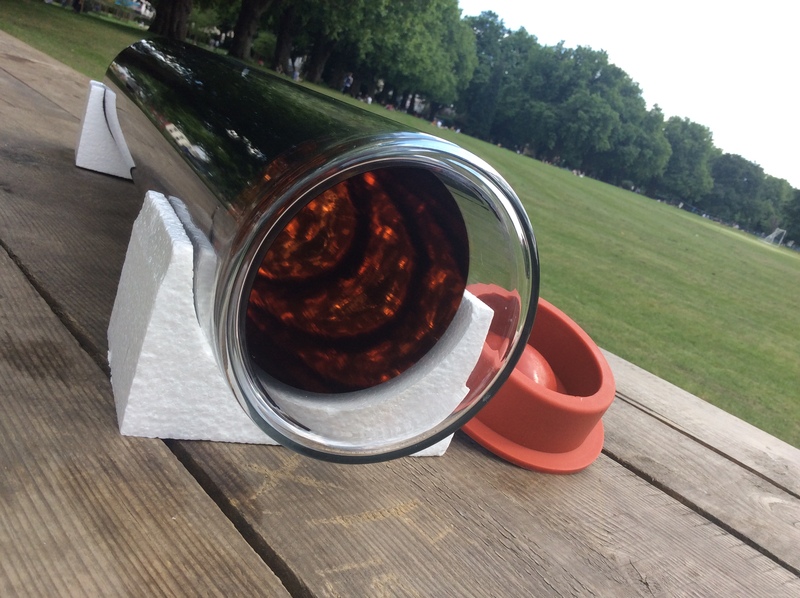 The material is glass so will last indefinitely however if you drop or bash your tube it will break. Accident’s happen, take a few deep breaths before moving the tube around. 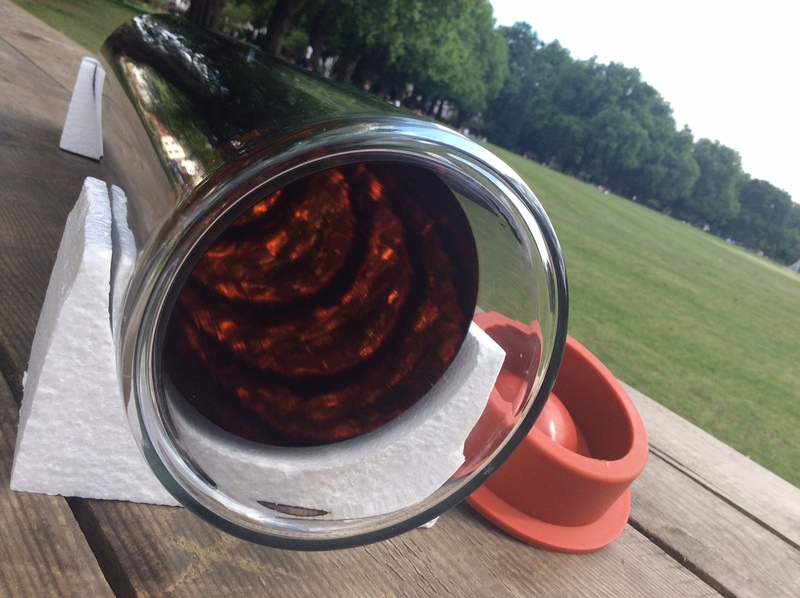 As with pyrex glass the tube is susceptible to “thermal shock’ meaning if you pour cold water into a very hot tube it can crack. Never place frozen food in the tube – the glass can exceed 200C even without a reflector, while the frozen food remains at -20C. Always allow steam to escape, the glass tube is not a pressure vessel. Don’t squeeze food in as this can create airlocks where pressure can’t escape. Finally, take care when cleaning the tube, its strong but there are limits. Don’t ‘ram’ brushes into it. Best idea is to let the sun warm water in it, this will eventually soak off residues. The bung is designed to fit loosely to allow pressure equalisation. Never force this into the tube, as this can prevent steam escaping. We don’t yet provide accessories for you solar oven. The opening is wide enough for many kinds of food holders, aluminium foil is often used to contain food items. We do recommend use with a panel cooker such as our CooKit. This is an uncomplicated way of boosting power available. Health and safety: This is a heat emitting device. Approach with care especially when cooking . Use oven gloves. Keep children clear. People won’t understand why its so damn hot inside but cool to touch outside. Don’t let them scald themselves. It has a multi litre capacity – thats a lot of heat energy to control if boiling water. 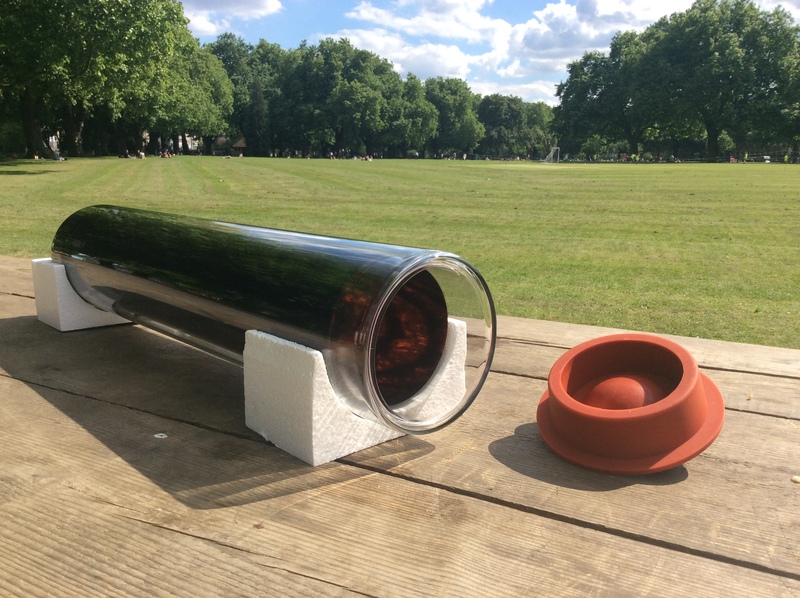 Nothing we do is without risk and our tubes are one of the most efficient means of converting sunlight into useful heat. You accept that experimentation with the tube must always be approached with due care and diligence. You re welcome to contact us about any wacky ideas you might have, but ultimately you are responsible for your own health and safety. 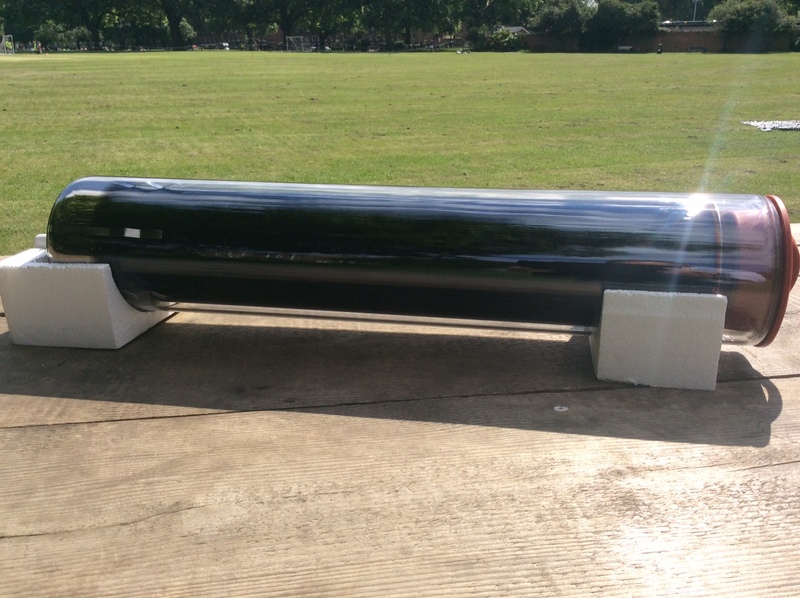 SHIPPING We want your tube to arrive unbroken in perfect condition. We include the cost of packaging and shipping in the overall cost. To reduce risk of breakage in transit we ask that you provide a business or staffed address so the shipper can deliver in office hours. This avoids unnecessary trips back and forth to the depot.